We take care of the personal information you provide and that we hold for you. Please take a moment to read this Privacy Notice, which explains your rights and how we handle your data. You may of course call us if you have any questions. This privacy notice explains how we handle (i.e. collect, store, use, update, share and ultimately destroy) your personal data, and your rights in relation to the personal data we hold. 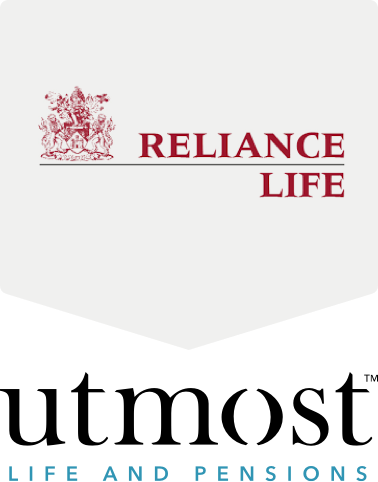 We are Utmost Life and Pensions, a life insurance and pension provider. Utmost Life and Pensions acts as a data controller, which means we decide how your personal data is handled and for what purposes. Data controllers are registered with the UK Information Commissioner’s Office. Personal data is information about a living individual who can be identified from that data; either from the data alone or with any other information already in, or likely to come into, our possession. The handling of personal data is governed by the General Data Protection Regulation (the ‘GDPR’). How do we care for your personal data? for the purposes of our legitimate interests (e.g. recording phone calls to ensure call quality, or to fulfil our responsibility to pay benefits correctly). Where you have given a separate consent for receiving any Utmost Life and Pensions-related marketing information you can withdraw your consent if you wish to. Where we ask you for any medical data you give explicit consent and this is recorded. We may pass your data to Utmost Group of Companies, our third party service providers, reinsurers, agents, subcontractors and other associated organisations for the purposes of completing tasks and providing services to you on our behalf (e.g. to carry out administrative mailings and to ensure that your data remains accurate). When we use third parties to provide a service, we disclose only the data that is necessary to deliver that service and we have contracts in place that require them to keep your data secure and not to use it for their own direct marketing purposes. We will not release your data to third parties beyond this unless you have requested us to do so, or we are required to do so by law, for example, by a court order or for the purposes of prevention of fraud or other crime. We will not share your data with third parties for marketing purposes. We will securely destroy your data when we no longer have a legal basis for retaining it. Subject to any other notices that we may provide to you, we may retain your personal data for a period of 15 years after your final contract with us has come to an end. However some information may be kept indefinitely where required by law or regulation. to lodge a complaint with the Information Commissioners Office. However, you should normally raise your complaint with us in the first instance. If you are dissatisfied with our response to a complaint, you may contact the Financial Ombudsman Service at www.financial-ombudsman.org.uk, by email or telephone 0800 023 4567 or 0300 123 9 123. *Note that although it is not currently possible, we will support data portability when a recognised industry standard becomes established. If we wish to use your personal data for a new purpose, not covered by this Privacy Notice, then we will provide you with a new notice prior to doing so, explaining this new use and setting out the new purpose and how the data will be used. Where necessary, we will seek your prior consent to using your data for the new purpose.